Lauren Hayworth received a bachelor's degree in choral music education from Florida State University in 2005, and a master's in voice performance from Appalachian State in 2010. 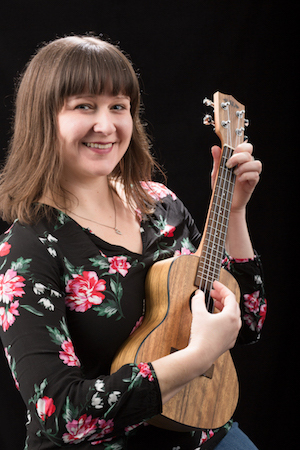 She lives with her husband Jake McGuire and their three cats in Sugar Grove, and has been honored to serve on the dean's office staff in the Hayes School of Music since February 2014. Lauren performs regularly in the Boone area with the close-harmony vocal trio The Mercury Dames, the big band Swing Set, and The Good Vibes Jazz Trio, a vibraphone/bass/vocal combo.